2016 Nissan Maxima for sale serving Baltimore, Columbia & Towson, MD 1N4AA6AP2GC410698 - J.B.A. INFINITI of Ellicott City. 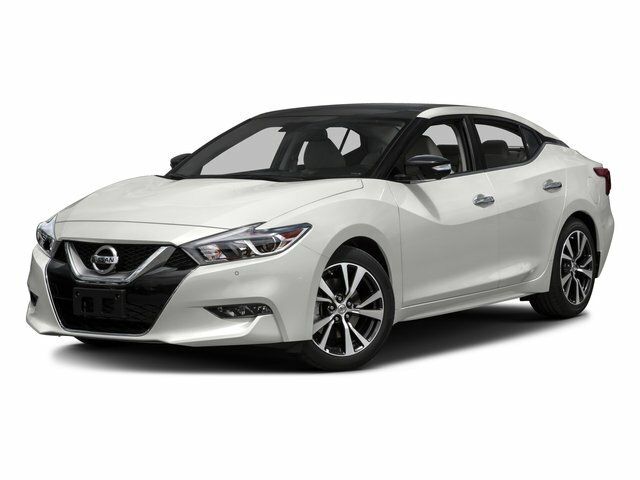 2016 Nissan Maxima Platinum Pearl White FWD 3.5L V6 DOHC 24V ** **NAVIGATION** **PANORAMIC ROOF** **BLIND SPOT MONITOR** **DISTANCE PACING CRUISE CONTROL** **HEATED & COOLED FRONT SEATS**, **REARVIEW CAMERA**, **BLUETOOTH**, 11 Speakers, ABS brakes, Air Conditioning, Auto tilt-away steering wheel, Auto-dimming door mirrors, Auto-dimming Rear-View mirror, Blind Spot Sensor, Brake assist, CD player, Compass, Delay-off headlights, Distance-Pacing Cruise Control, Electronic Stability Control, Front fog lights, Front reading lights, Front Zero Gravity Heated Seats, Garage door transmitter: HomeLink, Heated door mirrors, Heated front seats, Heated steering wheel, Memory seat, MP3 decoder, Navigation System, Occupant sensing airbag, Outside temperature display, Panic alarm, Power door mirrors, Power driver seat, Power moonroof, Power steering, Premium Ascot Leather Appointed Seat Trim, Radio: AM/FM/HD/CD Audio System, Rain sensing wipers, Rear anti-roll bar, Rear reading lights, Rear Window Blind, Security system, Speed control, Speed-sensing steering, Steering wheel mounted audio controls, Tachometer, Tilt steering wheel, Turn signal indicator mirrors, Ventilated front seats, Wheels: 18 Machined Aluminum Alloy. CARFAX One-Owner. Clean CARFAX. Welcome to Maryland's #1 INFINITI Certified Pre Owned Dealer. Go to www.jbainfiniti.com to view over 30 photos of this vehicle. Every pre-owned vehicle for sale has completed J.B.A. INFINITI's 150+ point quality check to ensure you are completely satisfied with your purchase. Call us now @ (855) 742-5905.